Happy Spring! I hope you’re feeling the awakening, too! 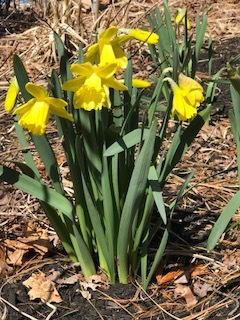 Spring bulbs are popping up here ( the ones the squirrels didn’t get, anyway) and a new growing season is on the horizon. Speaking of growing, the month of March marks my 8th year writing to you from the shorelines! I thought it would be fun to reach back into the archives and re-share some oldies but goldie’s posts with you. Grab your favorite comfy spot, pour yourself something delicious and enjoy some golden nuggets from the Beach Farmgirl. If you’ve been reading this blog from the beginning you already know that I’m a New England transplant who blew in from the high desert of Northern Nevada. 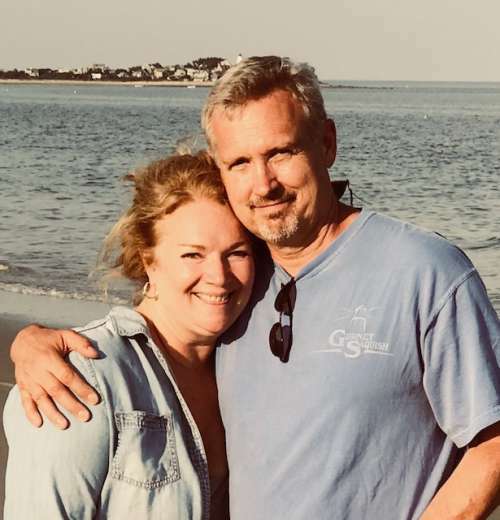 My very first post From Sagebrush to Shorelines tells that story and how I came to be so lucky to marry my handsome Yankee, grow our family and spend time in a tiny cottage by the sea for the last 30 years. But wait! There’s more! So much more! I also share how I discovered MaryJanesFarm Magazine and caught a fierce case of farmgirl fever! I remember writing that first post with so much excitement and eagerness to connect with the farmgirl community. 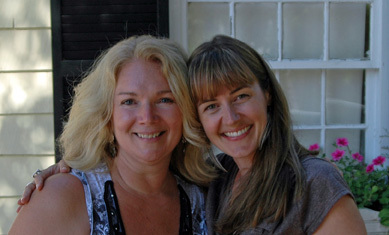 Meg and MaryJane took a chance on me when I introduced the idea of a Beach Farmgirl Blogger and here we are, still getting together every month, nearly 200 blog posts later. If you’re a new to the farmgirl community and all the Farmgirl Blogs, welcome! And if you’re an oldie but goldie farmgirl, thanks for hanging out with me on the shorelines ( and in the garden) all these years. I am grateful for all of you. Home Town Farmgirl Connections In this post I share my recipe for gathering friends to introduce them to MaryJanesFarm with the idea of starting a Farmgirl Chapter of your own. My own Farmgirl Chapter never really took off but I sure had fun planning the gathering and introducing my friends and neighbors to all things MaryJanesFarm. Eventually I did meet a group of gals who are all about farmgirl life at the Garden Center where I worked part-time for two seasons. We meet for lunch often, text regularly and talk flowers, cows, dogs, family, plants, husbands, kids, just about any topic really and laugh our fool farmgirl heads off just being silly. When you put yourself in places you love, finding your tribe happens naturally! Ah… home sweet cottage. Just typing those words brings my pulse down a few notches. 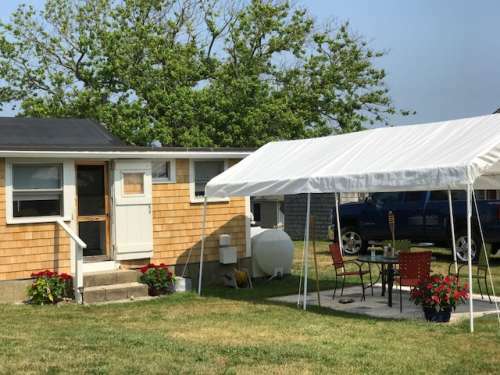 In this post I invited you all in for your first tour of the cottage. It’s nothing fancy, but it’s just right for casual, easy living by the sea and to us that makes it PERFECT! Many of you shared in the comments that it reminded you of places you return to each year or places you remembered from childhood stays with family and friends. I loved hearing about those places special to your heart. To see the most recent changes read Gone to the Beach! Hey, I just discovered that I wrote two posts titled ” Gone to the Beach “! Oops! 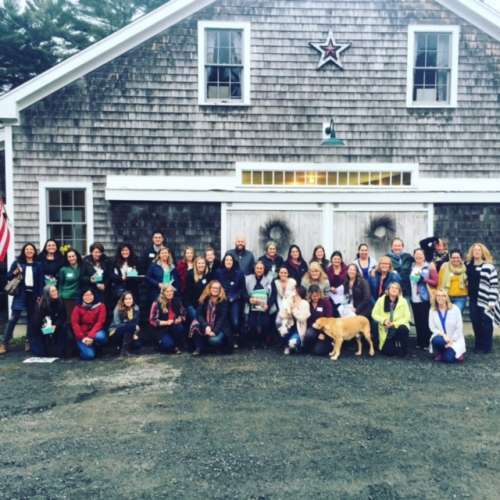 In this post I head down to Cape Cod to meet a very special farmgirl in person! Megan Rae, MaryJanes daughter was on the cape for a family reunion. During her stay we met for tea and had the best visit ever! Meeting Meg in person was so fun! She is such a kind, down to earth and charming gal! Isn’t it inspiring to meet your idols and fellow creatives? It gives you a kind of charge to keep going and have faith in your path. Back in the spring of 2012 I got a BIG IDEA to start growing cut flowers in my backyard. My hubby helped me build some raised beds, I ordered a bunch of seeds and bought a couple hundred dollars worth of Dahlia tubers and I was off and growing! In 2015 I signed up to be vendor at our town Farmers Market. It was a goal I made for myself when I started growing cut flowers. I made it happen and I got a glimpse of where my journey with flowers would take me. 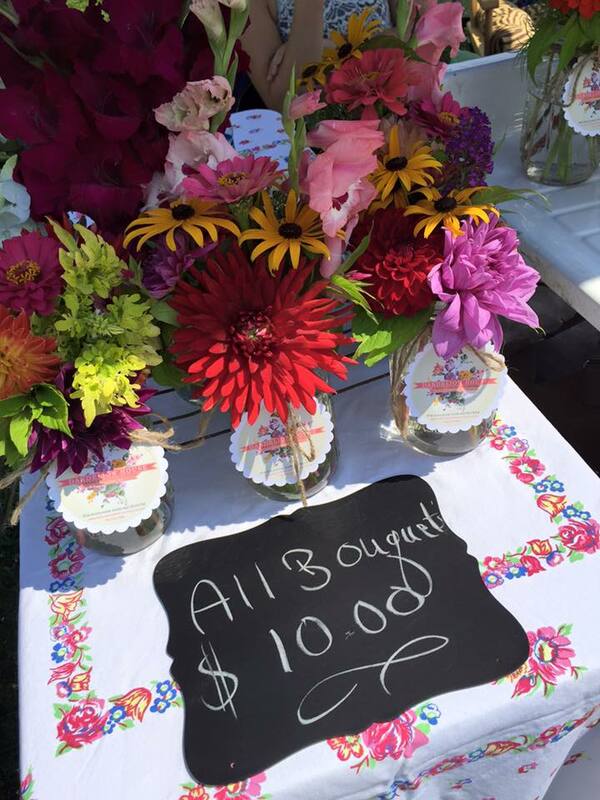 Just Bloom and My Farmers Market Debut share how I got ready for the farmers market and I think there’s a little “inspiration bouquet” tossed in there somewhere too! If you’re sitting on a big idea you’re itching to hatch, just go for it! You will be scared but you’ll be so glad you did ” it “. What ever ” it ” is. As my interest in growing flowers expanded I yearned to meet more people in my region who also shared a passion for growing local flowers whether for pleasure or profit. Debra Prinzing is the founder of the Slow Flowers Movement which came about because of her book titled Slow Flowers in 2012. 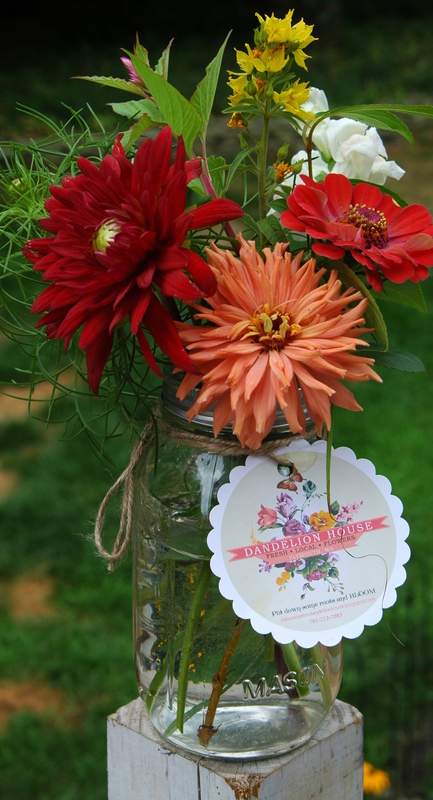 Since that time, regional groups have formed all over the US and around the world in an effort to expand flower farming in the United States and connect more designers with local product. 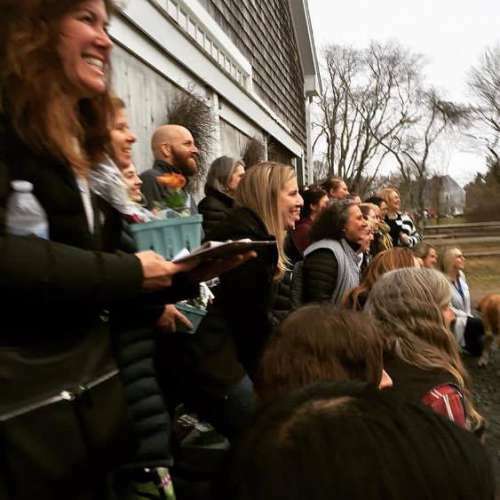 The photo above is from the first New England Farm and Floral Meet and Greet. I founded The New England Farmer Florist Connection Facebook group in 2015 and we have over 500 members to date. We’ve had 3 meet and greets and the opportunities for more gatherings and educational classes have flourished amongst our members both in the flesh and with online workshops. In my post, New England Farmer-Florists ( A budding community) I share how we went about planning our gathering and all the highlights from this wonderful day! Maybe there’s a cause, or a group of people you’d like to get together and make some positive waves with in the world. If so, I encourage you to go for it! If you have something in your heart you want to explore, chances are there are others out there who feel the same way and could benefit from knowing what you are anxious to share. So go ahead and start that farmgirl chapter, cooking group, garden club, or perhaps an online quilting class, like Dori, our Ranch Farmgirl, just launched! 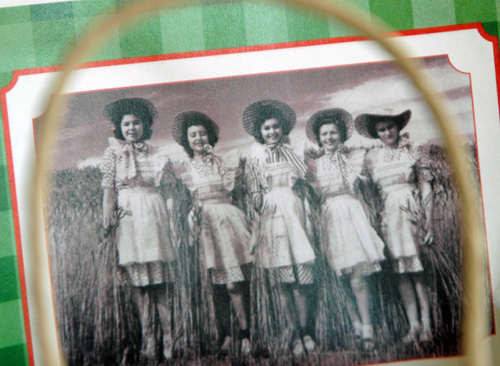 There’s a common thread that runs through all Farmgirls and it’s hope. I hope you’ve enjoyed the olden golden nuggets I’ve re-shared today. I hope you’re feeling re-fueled, refreshed and re-made! I hope you’ll go back into the Beach Farmgirl archives and re-read more posts. 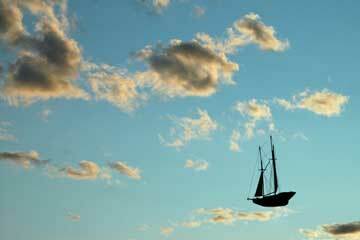 When I began blogging for MaryJanesFarm I made a pledge to be a lighthouse in an often strange and disturbing world. No matter how weird it gets ” out there ” I promise to keep the light burning here on the shorelines. Before I go I’ll leave you with one last nugget. 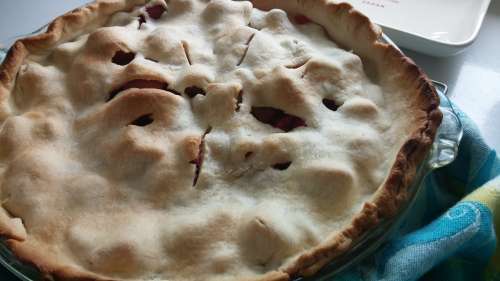 My recipe to Sweet Strawberry-Rhubarb Pie! My handsome Yankee loves this pie! I think you will, too! Until our next shoreline visit~ I hope you continue to DREAM BIG, LIVE BIG AND LOVE BIG!!! Hello Deb! Yes, Spring is showing it self here in Oklahoma! But it is making me long for our mountain cabin home. Will be heading that way in May. My sewing room is there with machine and fabric waiting with the Mountain View of pines and aspen trees in the cool breeze!! My first introduction to Farmgirl was a friend here who shares my birthday and ironically we are having our once a year lunch this coming Wednesday. Our little cabin is small but cozy and I love its simple comfort!! Keep writing!! (And I will keep reading down here in the Southwest)!! Spring has sprung here in Mew York. Our Crocus are out and it is only a matter of time when the Daffodils show their pretty flowers. Congrats, Deb, on your anniversary ! It has been fun and inspiring to tune into your blog over these years. Thanks for your effort and motivational energy, and for sharing your beachside and New England homes with us! Thank you for sharing, I also enjoyed your posts. Would like to become a farmgirl some how. When I was a young person, I lived on a farm in Canada, yes I am Canadian, although I live in the states. Love my husband, love people, love life, love our cottage, and home. Peace out, and just breathe, and know that God loves you all.